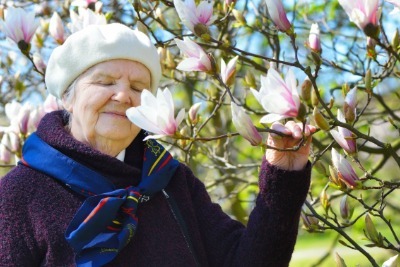 Memory care communities combine environmental factors with experienced staff teams to slow down the progression of dementia, as well as to decrease anxious behaviors that can sometimes accompany the disease. Residents living in memory care communities receive extra services and opportunities that seniors living alone do not have access to. By increasing socialization and providing a failure-free dining experience, memory care communities can make a major difference in dementia treatment outcomes. Isolation is a sure-fire way to speed up the progression of dementia. Memory care communities are a wonderful way to encourage socialization and decrease the chance of isolation simply because a friend or caregiver is only a few steps away down the hall. However, socialization doesn’t just mean close proximity to neighbors. Instead, socialization offers the opportunity to share experiences with peers, family, and friends. This is the cornerstone of an excellent memory care community. Good memory care communities work to bring activities to residents that encourage socialization; great memory care facilities ensure that residents are engaged with peers and the environment. Residents can participate in activities and programs that are tailored for the needs, abilities, and preferences of the those who reside there. Residents living in memory care communities have individualized programming readily available, giving them the chance to pursue what they are good at and what makes them feel happy, important, and purposeful. With a diagnosis of dementia often comes a variety of other issues or complications. One major concern is nutrition for the resident living with dementia. As the disease progresses, some residents can lose the ability to effectively chew, swallow, or enjoy their favorite nutritious foods. Weight loss can lead to a decreased immune system, decreased endurance and strength, and an increased risk of falls. Seniors living at home can experience malnutrition much more quickly than those living in a community setting. Memory care communities are a wonderful way to assure that nutritional needs are directed by professionals who can monitor and encourage food intake. The Arbor Company goes beyond simply making sure that our residents are offered nutritious foods three times per day in a community meal setting. Our community teams know the importance of socialization during mealtimes for residents living with dementia. Our dining rooms are cheery and comforting places that encourage conversation and interaction during meal times. After all, a meal is better when shared with a friend, and our award-winning Dining With Dignity program is specifically designed and proven to improve weight gain and nutrition in those at risk. Seniors living with dementia are at high risk for falls, wandering away from home, and a host of other risky situations that can keep loved ones up at night with worry. When a senior lives in a memory care community, loved ones can rest secure in the knowledge that qualified staff are on the job at all hours. Residents and family members can feel confident that experienced and educated staff members will keep track of health concerns, and will be available immediately if an emergency occurs. This peace of mind can allow residents and family members to once again have meaningful visits and time together, without extra worry or anxiety. A good memory care community will bring the best of dementia treatment protocol right to your loved one, 24 hours a day, 7 days a week. Decreasing isolation, increasing nutrition, and assuring safety will lead to a better sense of self determination, quality of life and more successful aging. Want to check in with your senior loved one this season? Read Home For the Holidays, our free guide to making sure that your elderly loved one is safe and healthy this season and throughout the year.